while they're not shown here i like that this game seemingly brings back more traps like the old games had. that's one of the things that seemed completely absent in the last 2 games. there were no pressure plates with arrows shooting out of walls, or spinning columns of blades or swinging pendulum axes etc. tombs just tended to just be one semi-elaborate puzzle but with little to no threats beyond falling. plus back in the day they were placed anywhere. it wasn't like you walked into the "trap room" or the "trap area of the tomb" you could just be exploring and get whacked with a poison arrow. it's the one area i think has actually improved with this game...assuming the trailer promoting traps is accurate and they are prevalent throughout the game? Yeah, definitely a Steam sale for me. There's nothing remarkable about these games, everything i've seen so far looks pedestrian and boring. There are a few of them, but those I've seen are pretty much always the same and are easy to spot even when not using any skills or the eagle vision (I know it's not how it's called :p). We were "just" sent the game on PC and Xbox One. Not harsh at all. After Rise it's really hard to think about picking up this even at cheap price. I got my copy of Rise free and still complained. 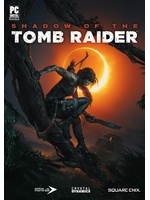 lol By no means are they terrible games, but I think this is what happens when Tomb Raider tries to take itself too seriously. They need to take it back to its roots with another reboot. i get the impression Lara was forced into this grim-dark direction out of necessity. uncharted was 3 games deep doing the chirpy Indiana Jones adventurer thing by the time the first reboot tomb raider came out. imagine if the latest tomb raiders were doing that too, on top of everything else they mimicked, it would be seen as a flat out clone. so i think they differentiated themselves by going the complete opposite direction. make it dark, gritty, violent and gory. sadly that also made Lara the exact opposite of who she was as a character originally. i mean, how far do they intend to take this arch? is lara going to end up in prison for mass murder? a mental asylum perhaps? they're just digging this grim-dark ditch deeper and deeper for the character now and without a complete reboot i don't see how they're doing to get out of it? I agree, this dark direction does seem shoehorned to fit some agenda. *raises pint* here's to a much needed reboot to the Tomb Raider fanchise to bring it back to itself. But sadly, I think they're making too much money with this terrible arch to ditch it anytime soon. I wish I played the original back then. 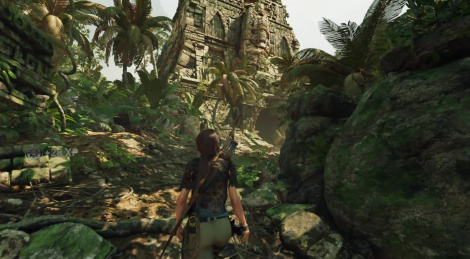 People rave about the tombs and how challenging they were. I only played the first one, felt more like an action movie to me. the reviews are settling in, it's pretty good. I would say the change in scenery theme is very appealing for a third game. it also brings it closer to TR's roots in exploration. what puzzles me though about the reviews is how much more alive the theme is compared to RoTR. RoTR was great, very wilderness like, dark and cold a percentage of the time. this could be a reason why it might be more received. it was also released in winter, which blended in. some reviewers might have connected more with this. But to my eyes SoTR seems like the third sequel i was wishing to see. I'm also 99% sure gamers are going to migrate over for how much more alive it feels. the tree abundance and vivid creek vistas can be a more appealing change to many gamers.